Scottish paperweights paperweights are popular with collectors for their variety and quality. 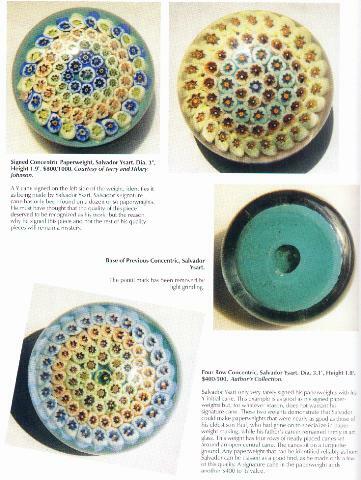 This book traces the history of Scottish paperweights from 1835 to the present time. Considerable coverage is devoted to the contributions of the Ysart family to the craft and development of the industry. 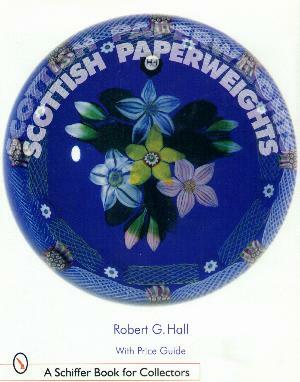 This important reference is indispensable to anyone interest in collecting Scottish paperweights. 172 pages with over 380 color photographs. Hard bound. 8 3/4" by 11 1/4". Click on the picture to see a page from the book.